Uzbek national Rakmat Akilov, the man who stole a beer truck and drove it down a pedestrian shopping street in Stockholm, Sweden, on April 7th, 2017, killing everyone in its path, has been given a life sentence. 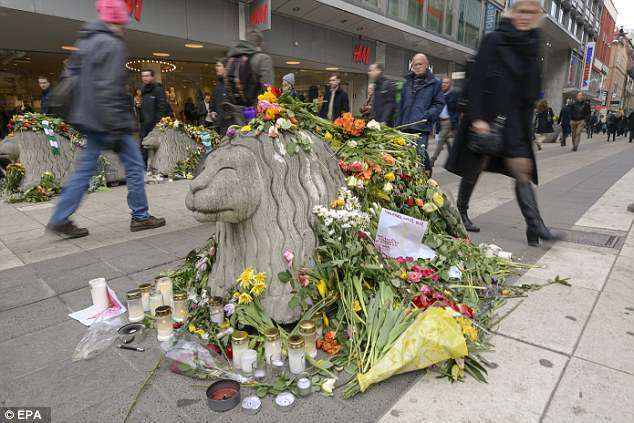 The 40-year old illegal immigrant killed five people including an 11-year old girl who was walking on Drottninggatan that day, plus seriously injuring a further 15 pedestrians on his ISIS inspired terror attack on the capital city. Rakmat Akilov had stolen the truck from a brewery outside Stockholm earlier that day, and the stolen truck didn’t raise enough alarm with authorities at the time, before he carefully drove the truck onto the pedestrianized shopping street and proceeded to drive as fast as he could, to kill as many people as possible. A horrific bloody scene was left in his wake, as the coward migrant smashed the truck into the Åhlens department store, attempting to blow himself up, before escaping on foot. Rakmat was later arrested some 25 miles away in Marsta, and afterwards he had said that his only regret was that he was still alive. He also said that he wanted to punish Sweden for joining in a coalition against Islamic State (ISIS) and Swedish authorities knew then that it was a terror attack. The worst terror attack on Swedish soil, after the years earlier failed suicide bomber attack in Stockholm in December of 2010. Uzbek authorities confirmed that Akilov had joined ISIL before carrying out the terror attack, and on January 30th 2018, Rakmat Akilov was formally charged by leading prosecutor Hans Ihrman who submitted the indictment to the Stockholm District Court. Today on June 7th, 2018, Rakmat Akilov was given a life sentence and a lifetime expulsion from Sweden. The people he murdered that day included Chris Bevington, 41, a British father who worked for Spotify, plus Belgian psychologist Maïlys Dereymaeker, 31, and Swedish nationals Lena Wahlberg, 69, Ebba Åkerlund, 11, and Marie Side, 66, outside of the 15 other people with serious injuries from the terror attack. Judge Ragnar Palmkvist said Akilov was the only suspect in the attack, with prosecuting lawyer Hans Ihrman calling him a “security risk to society” during the trial at Stockholm District Court in which they were seeking a life sentence, whilst the defence attorney Johan Eriksson said his client was co-operative and should be given a time-limited sentence. In the trial which began in February, Irhman said, “Akilov took the right to determine the fate of so many people. Now it is the turn of the democratic rule of law to determine the fate of Akilov”. After the attack, once the truck smashed into the department store, Akilov attempted to blow himself up, but failed with his five gas canister device which filled with screws, blades and metal objects that didn’t detonate properly, sending him running away from the scene of the terror attack on foot. Akilov was found guilty of five counts of terror related murder, 119 counts of attempted murder and 24 cases of endangering the life of others. Akilov come to Sweden in 2014, and applied for asylum claiming he had been persecuted in his home country, but his application was rejected and he was ordered to leave Sweden in December of 2016, but he evaded authorities an remained in the country. In the trial it was shown that Akilov had used 53 different SIM cards, and used social media to communicate with others about his terror activities over WhatsApp, Telegram, Viber, Facebook and Zello. He intended to carry out the attack on ISIS’s behalf, in order to become a martyr. Investigators also found a photo of ISIS leader Abu Bakr al-Baghdadi on his phone, along with chat logs with unidentified people about his plan to carry out the terror attack. This was truly a gruesome terror attack on Swedish soil, and a life sentence in Sweden is usually about 18 years in prison, which all in all, doesn’t seem justified enough for his heinous crime. Let’s all hope that Rakman Akilov will never see the light of day and that he will not be safe or comfortable in the prison, alongside other criminals, who may take matters into their own hands, due to the attack he committed on innocent civilians. The life sentence for Rakmat Akilov doesn’t seem long enough and one wonders if exceptions should be made in terror offences, for a death penalty ruling for crimes of terror.